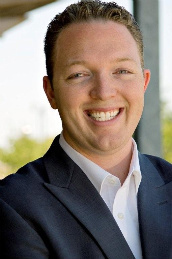 Jason Everett - Welcome to SalesPartners N. CA/NV Business Coaching, Sales Training, Public Speaking, Personal Development, and Team Building. His unique blend of business skills, personal development skills, humor and high-power engagement, not only keeps audiences riveted to his every word, but has helped companies increase their closing ratios by 150 – 300% in a matter of months, increase gross sales by over 500% and reduce costs by nearly half a million dollars per year. Companies find it amazing to work with him as in the case of growing a company from $300,000 in annual gross sales to $1.5 million in a few years. .
Jason is the Regional Developer for SalesPartners Worldwide in Northern California and Northern Nevada. He has 10 years experience in outside sales, marketing, advertising , and events. His 15 years of speaking, teaching, mentoring and presenting has landed him into the arena of being one of Rich Dad Advisor and best-selling author Blair Singer’s inner circle as one of the top facilitators of behavioral change in business. Coming from a family of entrepreneurs and business owners, he has partnered with businesses helping them achieve double digit growth since 1980. Jason has worked with such fortune 500 companies as Baskin Robins, Comcast Cable, A&W Restaurants, Gerber, Time-Warner Cable, US Army, Warner Bros., Bank of America, General Mills, and Massage Envy. Jason states that his mission is to 1) Help as many people as he can to get what they want in their lives and businesses through a unique blend of high impact personal development, business skill development and accountability. 2) Drive his SalesPartner team to build amazing and rewarding businesses and 3) To enjoy the financial, emotional and lifestyle benefits of a career and life devoted to helping others win big. He says, “It is my job to serve the marketplace first by helping business owners get more time back, create more income, and build better teams.” He loves teaching what he learns and claims that the only way to truly know something is to do it. Jason has been with his wife, Charity for ten years. Jason has also been part of the Big Brothers/Big Sisters organization for seven years because he believes that mastery comes from teaching others.